Home Medical Marijuana/Cannabis Legalising weed: A matter of life and death? Legalising weed: A matter of life and death? But this clear demand makes the drug no less illegal. America has seen a medicinal cannabis revolution, with it now legal in half the country. 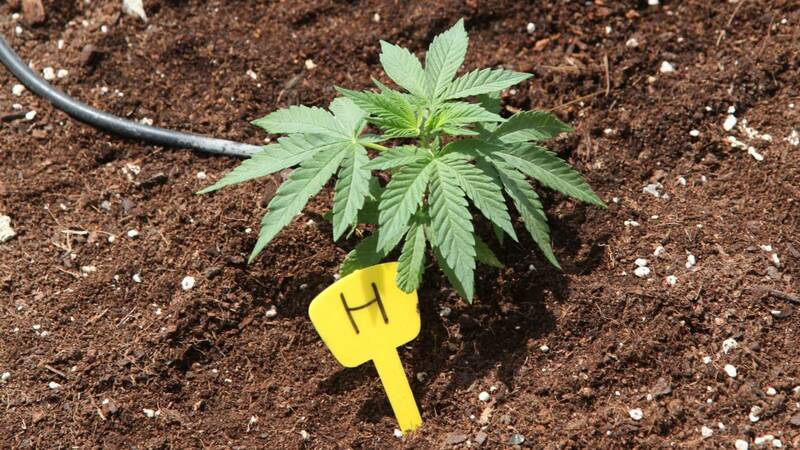 Another eight states will vote on legalisation in November. It’s an entirely different story here. In the UK, cannabis is still a class B drug, meaning that it’s illegal to take it, give it away or sell it, though there have been recent calls from a group of UK politicians for it to be legalised. Yet as Jeff sees it, would you rather be a living cannabis criminal, or a dead law-abiding citizen? 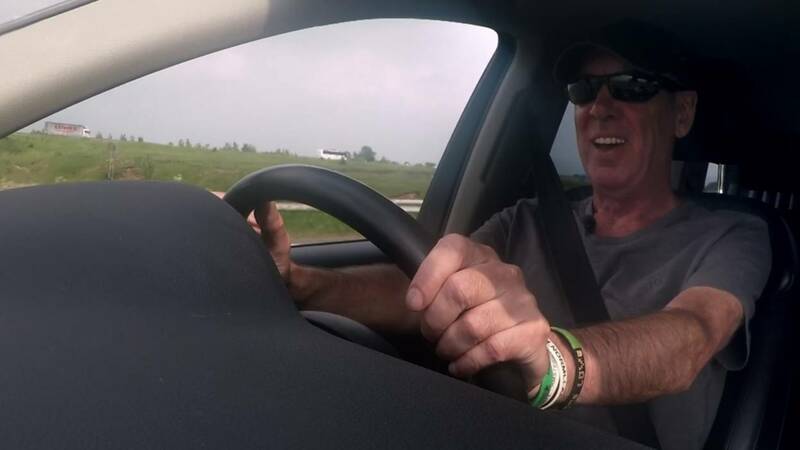 He’s been creating and delivering medicinal cannabis from the boot of his car for nearly 15 years. In the process he has been arrested 12 times (though has never been convicted), raised £35,000 for research with Madrid University, written books on the subject, and met and helped countless people. His work may be illegal, but he makes no secret of it. So, how does one get into the weed business? 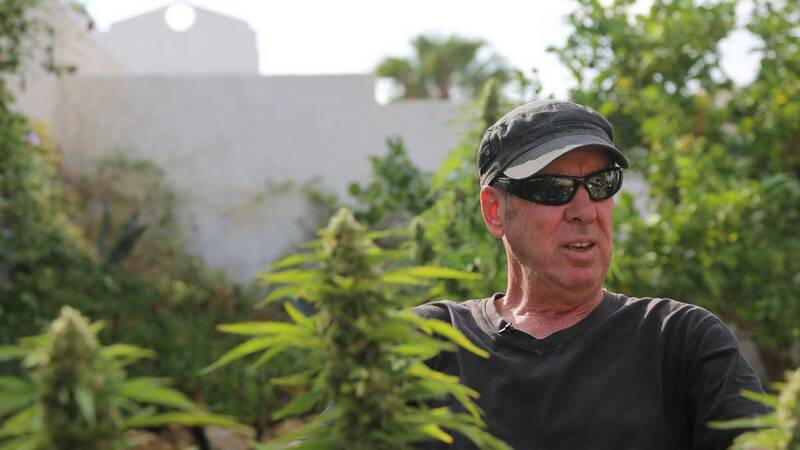 After retiring from his job in the logistics industry, he was inspired to grow his first batch of weed to help an old colleague, a women who suffered with MS and found it was the only thing that helped with the pain. “I thought…. it’s only a plant, how difficult can it be to grow? And turns out I was pretty good! Once I’d grown it, I gave it my friend. She was a member of the MS society, and before long her friends were asking if I could give them any. Within 6–9 months I was supplying 20–25 MS sufferers within Liverpool. But MS affects 100,000 people in the UK today…I was only scratching the surface”. So in 2002 Jeff set up ‘Bud Buddies’, a nationwide network that grew organically (…no pun intended). Combined, they make up about 5,000 people across the country, some just growing for themselves, other’s supplying others, and all for medicinal purposes. Jeff himself makes his cannabis oils by taking active compounds from the cannabis plant, extracting them using a solvent, and producing the oil in sterile conditions. Every batch is sent to be rigorously tested at Valencia University, so his product is safely regulated – to the best of his ability. The medical benefits of weed have long been debated in the UK, with the amount of anecdotal evidence far out weighing the amount of scientific proof. This in part is because marijuana is notoriously difficult to study, because it’s classified as a schedule-1 drug (meaning there is currently no accepted medical treatment use). Yet in terms of anecdotal evidence, Jeff has plenty. One story that clearly resonates with him is that of ‘H’. “His parents brought him out to visit me in Spain, four years ago when he was 12. He was suffering from two very advanced cancers, and the week prior to coming out to see me in Spain him and his mum had been looking at hospices for him to die in. He hadn’t been eating at all, putting it down to loss of appetite from the chemo. But I knew he hadn’t had chemo for months, so I asked him straight what was going on. He told me that if he didn’t eat he would die, and then finally the doctors wouldn’t be able to hurt him any more. Imagine hearing that from a 12-year-old. It broke my heart. 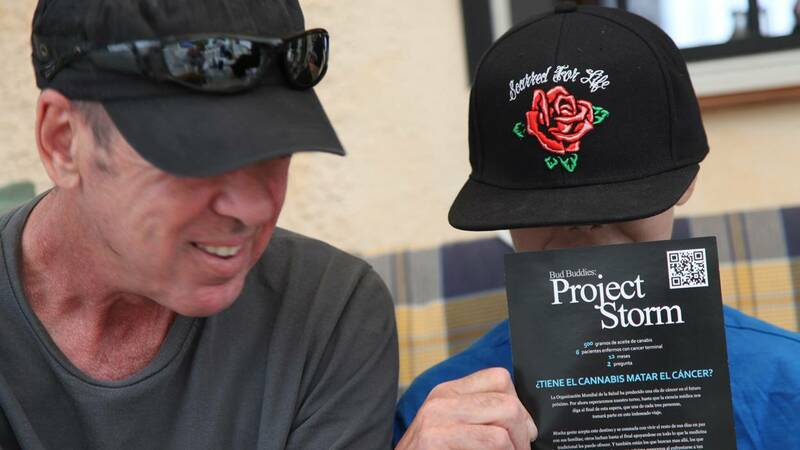 While there’s no concrete evidence to credit H’s recovery directly to his use of cannabis, his story is no less heart-warming. Yet for every tale with a happy ending, Jeff is very much in touch with the reality. “I’m always clear that ‘cure’ is not a word we use. ‘Treatment’ is much more suitable. Most of those I meet are people with very, very advanced cancer. So yes, ultimately I get to know more people who have died, than those who stay here for longer. We just have to do our best for them at the time. 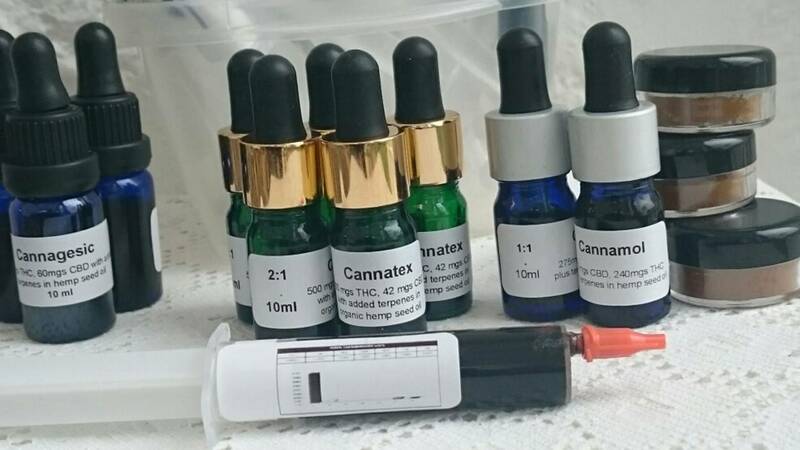 I would never, ever talk someone into taking the cannabis oils – it has to be their decision, and I’ll be ready to help anyone that decides to”. Undoubtedly, for the health benefits of cannabis to be properly understood, more regulated testing is desperately needed. 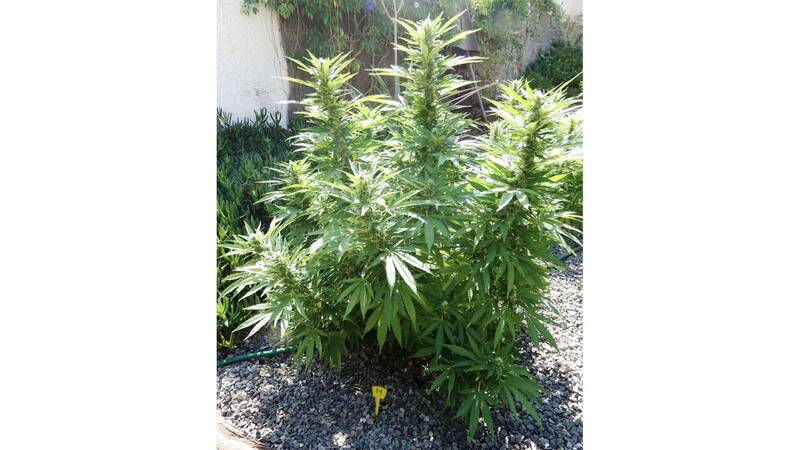 There are over 5,000 varieties of cannabis plants, and over 200 types of cancer. Everyone responds very differently, and research suggests that different cancers can react to different THP levels (which affect the potency) in the cannabis. Dr Whiting from Bristol University, who conducted 79 randomised trials to evaluate marijuana’s medicinal qualities in 2015, concluded that, ‘Further large, robust, randomized clinical trials are needed to confirm the effects of cannabinoids’. Without such trials, it will remain underground, unregulated, unmonitored and untaxed, with people like Jeff being the sole means of access – and leaving it open to scammers. In fact, Jeff believes that banning people in their hour of desperate need amounts to a human rights issue, and is campaigning actively against the law on that basis. “The public support is there, clinicians and doctors want access, but it is the policy makers and the politicians that are refusing to change this. Prohibition causes more harm than cannabis ever could. What I’m actually campaigning for is human rights. In my view, it’s the ban that’s actually killing people. They should be getting it from oncologists, not me”. 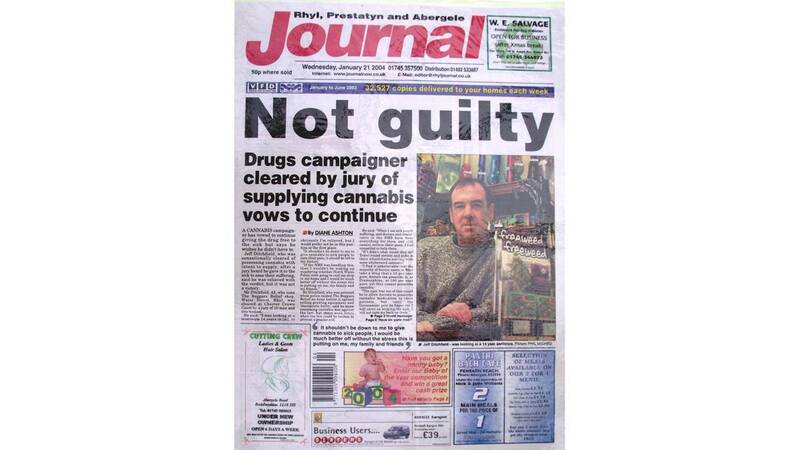 For Jeff, and the rest of Bud Buddies, the fight for legalising cannabis goes on. Until then, he’ll continue doing all he can to get the cannabis oil to those who have nowhere else to turn. “If a law is unjust, a man is not only right to disobey it, he is obligated to do so”.